Consuming sugar for energy isn't just unhealthy -- it can be downright dangerous. Learn more about the potential pitfalls of consuming too much sugar, including those popular energy-boosting beverages and sports drinks, and some tips regarding natural energy-enhancing methods you can employ. For some time, people experiencing fatigue have employed sugar-laden products as a means of replenishing their energy levels. The body readily synthesizes the sugar contained in these foods and beverages individuals into glucose. Systemic absorption of glucose precipitates a sharp increase in the strength of the body's cells. This process leads to a quick, often significant increase in overall energy levels. Sometimes, fatigue-stricken persons will notice a rapid change in strength and vitality as soon as 10 to 15 minutes after consuming a product with a discernible amount of sugar. People with demanding schedules do not care to be bogged down by mid-day fatigue. Beverages such as sugary energy drinks and sodas contain elevated sugar concentrations and often provide a quick "pick me up," making them attractive options for boosting energy quickly. However, nutritionists and medical professionals caution that these products have the potential to cause long- and short-term health risks. It has been established that, in the short-term, sugar can provide a quick and needed source of energy. Unfortunately, these bursts only last for a limited duration. The fast infusion of energy provided by sugar intake is sometimes referred to as a "sugar high." Once the body has completed the process of synthesizing glucose and other sugar-based chemicals, energy levels then precipitously decline in what is known as a "sugar crash." Many sugar-laden, energy-boosting beverages possess a high calorie content. Such calories are often referred to as empty calories because they do not provide the body with any actual nutritional value and could precipitate issues like accumulation of body fat and weight gain. Increased weight can be a precursor for heart and circulatory problems. Additionally, increased consumption of sugar is believed to also precipitate inflammation. Inflammation that occurs inside blood vessels surrounding the heart could result in an increased risk of heart attacks. 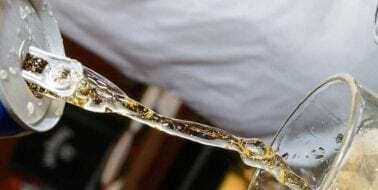 Chronic ingestion of drinks with high sugar content might also precipitate various bone maladies. Drinks such as sodas contain elevated concentrations of phosphate, which some members of the scientific community believe has the potential to weaken bones. An increased intake of sugar stimulates greater insulin production and release by the pancreas. Some medical professionals suggest that increased insulin production precipitates formation of hormones that can be linked to cell malformations that may eventually result in the development of certain types of cancer. Certain members of the medical research community believe excess sugar intake could cause liver damage akin to that which can be precipitated by over-indulgence in alcohol. 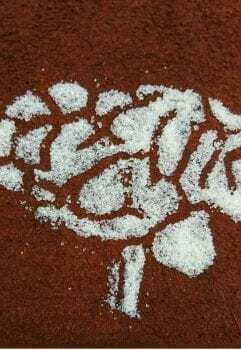 Studies conducted suggest that too much sugar might precipitate premature aging of brain cells. This process may lead to cognitive issues such as memory loss and concentration difficulties. Is Diet Soda Any Better? 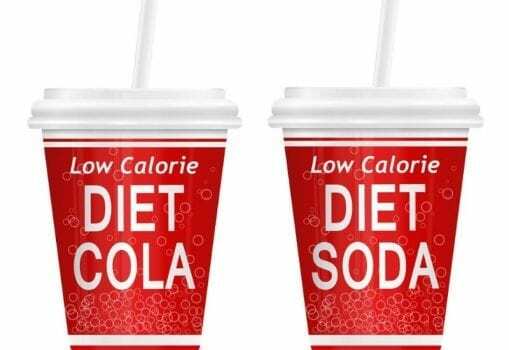 Some might believe that consuming diet soda (soft drinks without natural sugar) might offer a healthier option. Unfortunately, however, a recent major study found that aspartame (the sugar substitute substance used to give diet soda a sweet flavor) is a potentially dangerous product linked to various serious health problems like cardiovascular ailments, diabetes and seizure disorders. Many health care professionals believe dehydration is among the most common reasons people experience low energy levels. This potentially serious problem can be avoided by drinking water regularly. A lack of sleep often contributes to fatigue. Individuals might be able to sleep longer and better by practicing techniques such as avoiding the consumption of food or caffeinated beverages in the evening and maintaining a continual sleeping and waking cycle. Physical activity will boost energy levels by helping the body utilize nutrients more efficiently and through the release of energy-boosting hormones. There are numerous dietary nutrients that possess energy-enhancing capabilities. Many of these substances can be found in the form of single-ingredient supplements or in multi-ingredient preparations that can typically be obtained through nutritional supplement retailers or online. Anxiety and tension zaps energy very quickly. Many physicians suggest that energy levels can be rebooted by practicing any type of stress-alleviating technique or through participating in a relaxing hobby. The brightness and warmth sunlight radiates may offer fatigued individuals a an energy-boost. Doctors suggest that as little as 15 to 20 minutes of direct sunlight exposure could brighten one's mood and thereby enhance their energy levels.